As a celebration of the Ford Fiesta ST and a final bow before the ST-2's introduction, a fresh take on the model has been unveiled. Ford used the 2016 Geneva Motor Show as the venue to promote the new Fiesta ST200. Given that the original Fiesta is the best-selling car of all time in the UK, the success of the ST hot hatch version was always a near-certainty. After winning 22 awards in the first 12 months from its launch, the second generation edition will maintain the appeal and popularity of this sportier hatchback. Drivers can already upgrade the athletic looks and capabilities of their ST with tailored Mountune accessories and tuning packages. These include the MP215 kit, a package with a custom aluminium airbox, new engine calibration and a high-flow air filter. Every kit comes with a Mountune Performance badge, signalling the greater potential of your Fiesta to other drivers. 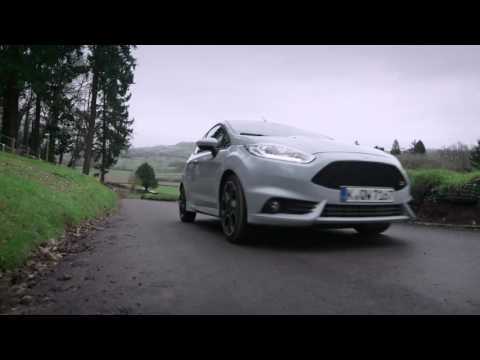 Mountune enhances more than just the Fiesta ST. You can pick out performance accessories for the Focus, Focus ST and RS models, and several other versions of the Fiesta. All of these upgrades can be made without invalidating Ford's standard warranty. The Ford Performance division is pushing ahead with development of the new ST200. The name of the model comes from the 200PS (197bhp) generated by the turbocharged 1.6-litre engine. It represents a ten percent increase in power over the current ST. An 'overboost' system pushes that even higher for 15 seconds at a time, reaching as much as 212bhp. As a result, the ST200's 0-60mph is now almost two tenths of a second quicker. Although the ST200 will not be using the Ford EcoBoost Engine as other high performance models have done, such as the new Ford GT, the ST200 will still generate solid fuel economy figures which demonstrates that fast cars don't have to drink fuel. Torque vectoring and three-stage Electronic Stability Control from the ST will remain in the ST200, as will the responsive steering system. The suspension is still low, with the centre of gravity 1.5cm lower than before. Front and rear damper settings have been adjusted accordingly. This special edition has been hailed as the fastest production Fiesta ever made. It can soar to 143mph, with the fluid six-speed manual gearbox making the ascent feel smooth and graceful. This is a four mph increase over the original ST. Ford has made sure to change the gear ratios for this purpose. On the outside, the special model will feature custom Storm Grey paintwork. Bright red brake calipers can be seen behind the 17-inch matt black alloy wheels. Partial leather Recaro sports seats in charcoal match the grey exterior, finished with silver stitching and silver seatbelts. The Geneva display car features illuminated scuff plates, and this will remain in the road-going model. Production and first deliveries of the Ford Fiesta ST200 are expected to begin during the summer. The model has already been described as 'a future classic in the making'. Full specifications and prices will be announced soon. At present the ST200 won't appear within our used car stock for sale, but once the vehicle has launched these fantastic sports cars will make their way into the used category. To explore the Ford Fiesta range and register your interest in the upcoming ST200, speak with the team at a Birchwood Ford dealership. Our showrooms in Eastbourne, Hastings and Halland have many models ready for you to take out on a test drive. Contact us by phone, in person or online during our listed opening times.